Ok, lets play a little game of truth or dare. Minus the dare. So tell the truth, how often do you clean your makeup brushes? Me, once a week! That's a total lie. Probably once every three months! I know I know... so bad right?! It's one of those things that you mean to do but just don't quite get around to. Kind of like flossing your teeth. I always have great intentions and then I remember that I didn't do it when I'm already in bed and 15 min. into BIP. Not happening. So when I do clean my make up brushes I want to make sure that I am cleaning them with good quality products and in order to do this I make my own. No better way to be sure that you know what is in your product unless you DIY it! Mix all ingredients together and store in an air tight glass container. Wash brushes once a week! Ha! Or once a month! I love the addition of the orange essential oil. It leaves your brushes smelling so fresh and every morning when you use them it releases that scent and gives you a little mini wake up call! Citrus scents are known for thier mood lifting and energy boosting properties! Here's one more little pro tip- if you don't have the time to make a batch of this and your brushes desprately need cleaned... use your face wash! I know that seems like an expensive brush cleaner but your face is already used to that product and it wont break out your skin. Trust me it literally takes the tiniest bit to clean them. Ok, I'm off to practice what I preach and get to cleaning. Yeah right, I'm going to pour another cup of coffee and binge listen to podcasts! Dreaming of Friday!! Yes! Thank you posting this. Now I can go home and get my life together lol, great job! 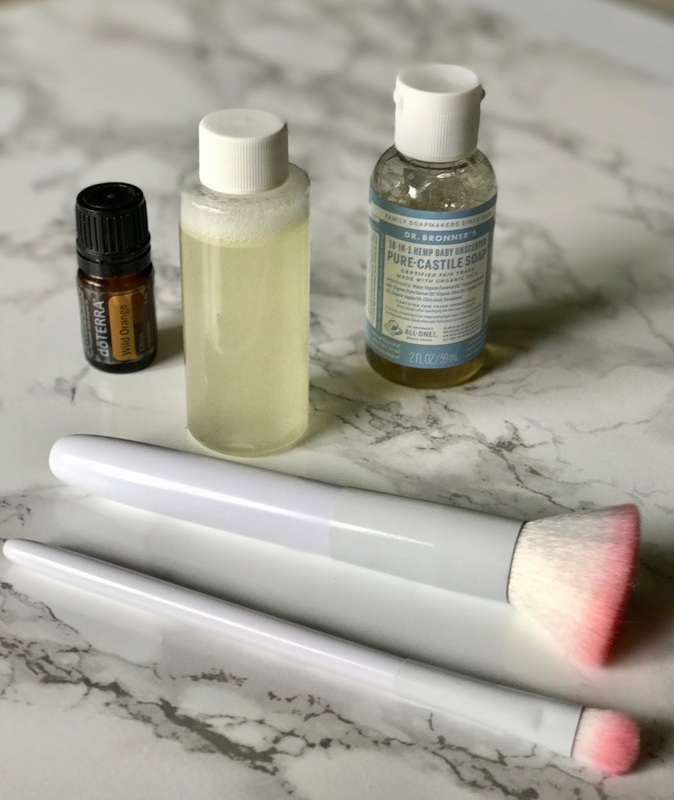 DIY Makeup Brush Cleaner is really awesome to cleaning my makeup brushes. This is a great way to cleaning makeup brushes. I believe makeup is an important part of women's life and a perfect makeup brush gives a great finishing. That's why I love to use perfect makeup brush for my makeups & my Liquid Matte Lipstick for my lip.